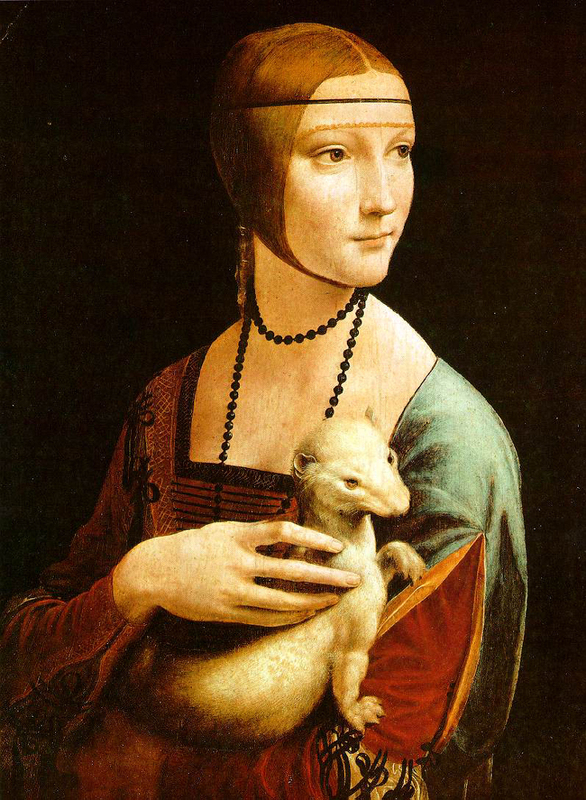 As you’ve probably heard, the Lady with an Ermine and a number of other Da Vinci originals will be on show for the next few weeks at the National Gallery. I am sure that this will be a once in a lifetime opportunity. But I’m also sure that it will be very busy, very hot, and that you will have to work very hard to see, let alone to absorb, the masterpieces on display. I heard somebody on the radio say that you need to look at each one of these paintings for a good 10 minutes to start to appreciate them. I suspect that will be very difficult. If that puts you off, or if you can’t get your hands on a Da Vinci ticket, you could do much worse than cross Trafalgar Square, turn left and walk about along the Strand to the very wonderful Courtald Gallery. The Beautiful Armenian and I spent a morning there on our recent trip to London, and I think it’s the best couple of hours I’ve ever spent in the company of art. I’m quite partial to the occasional visit to a gallery, but I don’t know much at all about art. When we were at the Courtald, I made a deliberate effort to stand (or sit, as was often possible) and study paintings for several minutes before moving closer to read the commentary. I tried to describe the paintings in my head as if I were telling somebody who couldn’t see them, and also to explain how they made me feel. I got a lot out of doing this, and the Courtald is just perfect for this. It’s small, and so not overwhelming. It’s packed with great pieces by some very famous names. Botticelli, Rubens, Gainsborough, Van Gogh, Monet, Renoir, Gaugin, Matisse and many more. And it’s quiet and relaxed. You really do have time to linger. I don’t mind admitting that I was quite moved by all this, and in the bookshop afterwards I found this little gem – How to Look at a Painting by Francoise Barbe-Gall. For me this was exactly the right book, in exactly the right place, at exactly the right time. I’ve read about 100 pages and I would strongly recommend it to anyone who wants to learn a bit more about paintings and how to appreciate them. The link to this next bit may be a bit of a stretch, but here goes. One of the things I really enjoy about a good painting is unlocking details and secrets that you miss on first glance. The day after we got back from London I went to church with The Beautiful A and the preacher used Da Vinci’s Last Supper as the theme of his sermon. This meant that I was able to study it for a good 15 minutes. During the sermon, a number of the details were picked out. The fact that not everyone is listening. Judas’ hand on the bag of coins. Peter’s hand on the knife. The very different reactions of different people. You can read lots of other ideas and theories by starting here on Wikipedia, or here on Jaydax. 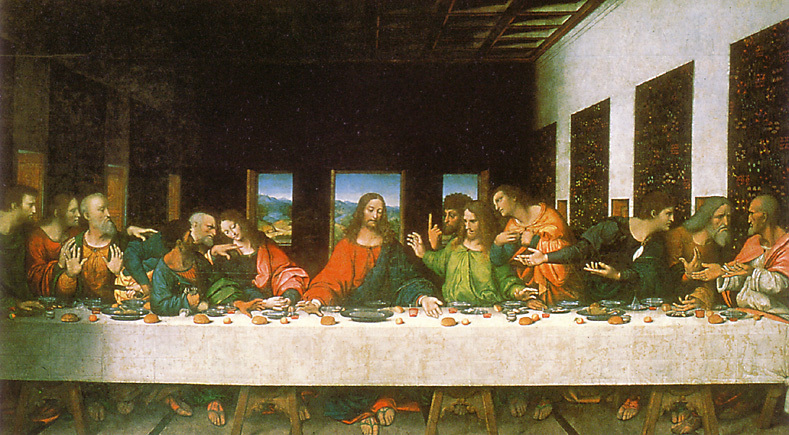 Of course the painting features prominently in The Da Vinci code. This isn’t at the National (it’s painted directly on to a wall in Milan). A few days later, I followed the recommendation of a friend and downloaded Google’s Picasa software. If you point this in the direction of your photos on your computer, and identify some family member or close friends for it, it will do a fantastic job of identifying many other photos in which each of those people appear. In many cases it gives you a thumbnail close-up of the face. Here’s the really interesting bit. A few years ago we went to a very tense family get together. There had been some real upset leading up to it. The day wasn’t easy but everyone behaved themselves, not referring to the recent arguments. After lunch we walked in a park in beautiful spring sunshine, and I took some photos of the group. I’ve never really looked that closely at them, and they don’t appear remarkable. But when you see the close-ups of people’s faces in Picasa it’s astonishing. The emotions of the various family members shout at you. Anger, pain, awkwardness, a wish to hide, boredom. They’re all there and very plain to see. Written on their faces, and brought to life by the magnification of the software. It’s just like when you start to unlock the secrets of a painting. Whether you choose the National or the Courtald or anywhere else, enjoy.